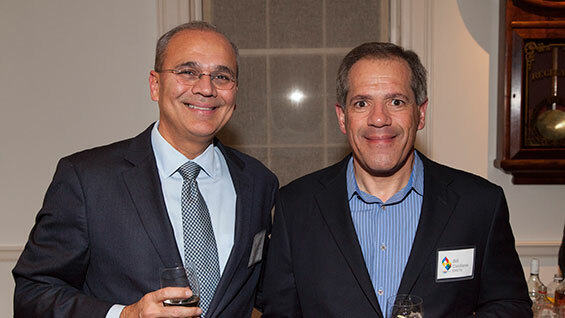 During this season of giving, The Cooper Union hosted a reception in late November to recognize and thank our generous donors who made leadership gifts of $10,000 or more to the Annual Fund in the 2011-2012 academic year. In appreciation for their support, the Office of Alumni Affairs and Development established current-use tuition scholarships named after each donor. Top first year students were selected by the Office of Admissions for the honor of receiving Annual Fund tuition scholarships for the 2012-2013 school year. 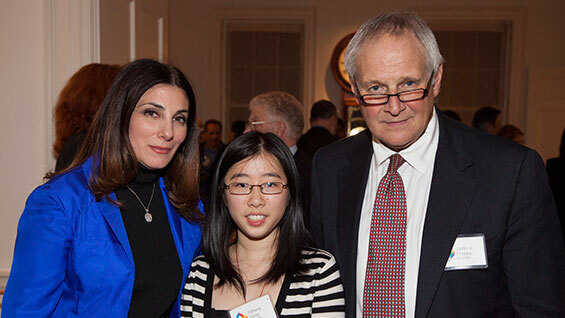 Conversations were spirited between donors and student awardees who attended the reception. Students talked about their Cooper experience, academic challenges and professional goals, providing the best perspective on how donor generosity directly impacts their work and college life. This scholarship program has also provided an important opportunity for students to learn about the role philanthropy plays in supporting their education at Cooper. Celine Park, ARC’17; Zeb Bennett, ART’16; and Amy Chambers, ENG’16 spoke about their time at Cooper so far and expressed their appreciation for the donors’ contributions. Our donors thoroughly enjoyed getting to know the students. 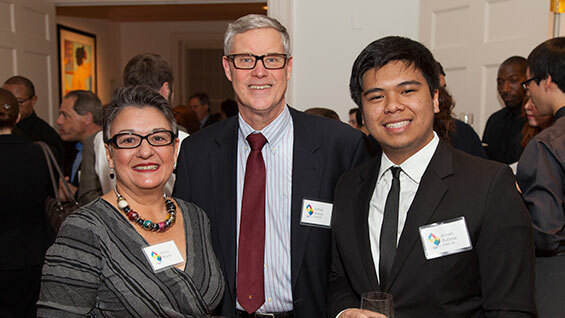 Alfred Brand, CE’67, commented that he and his wife “…enjoyed the evening and were happy to meet Arven (Rulona, ENG’16) and the other students.” Students also enjoyed meeting donors, hearing about their time at Cooper, and being able to personally express their gratitude. Andrew Rahayem wrote to Kenneth and Helene Mitchell, "Thank you again for your support in this uncertain time in Cooper’s history, and please know that your impact on me personally and on academia at large is very real and very much appreciated." Collectively, 53 alumni, parents, trustees, former trustees and widows of alums contributed close to $1 million during the last academic year for current-use scholarships. They represented all three schools and the class years spanned every decade from 1943 to 2001. In total, approximately 83 scholarships were named, many of which were represented by students at the reception. This year, we hope to support even more students through Annual Fund tuition scholarships. If you would like to learn more about contributing, please contact Jeanne Lunin, Director of Development, at 212-353-4107 or jlunin@cooper.edu. Cynthia C. Weiler and E. Blake Moore, Jr.
Philip Zev Weisberg, C. F. A.